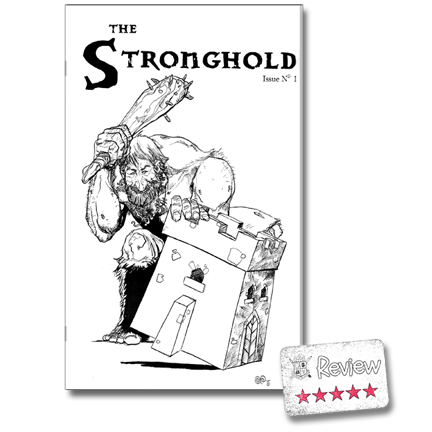 Last week I received Issue #1 of a new Zine called The Stronghold. Now I'm not a huge fanboy of Zines in general, but I've been wanting to make a Zine of my own for some time and so I've been wanting to take a look at what is already out there. My first, quick glance through The Stronghold had me noticing a lot of little quirks and flaws with this Zine. I noticed the paper wasn't cut quite straight, which prompted me to break out a ruler to see it's been trimmed down, presumably to even-up the edges of the folded copy. I saw tables that didn't quite line up right and art where you could see the edges, as if it was a photocopied production (but clearly wasn't). At least one article had me going WTF? 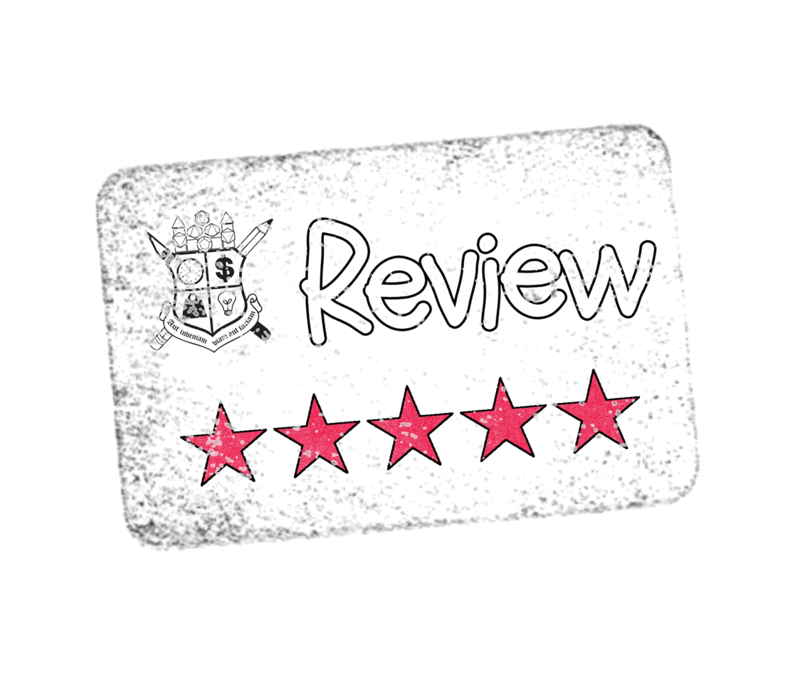 Oh yes, The Stronghold is a bit of an ugly duckling and a bit below the self-imposed standards that is keeping me from putting out my own Zine, but you know what? I fricken loved it! I will admit that I wasn't into Zines back in the day, but I do remember some non-gaming ones and The Stronghold had just enough rough-edges to remind me of those Zines and clean & modern enough that I'll actually read it.....seriously though, a lot of those Zines really were rough reading piles of garbage. The contents of #1 vary a bit in usefulness, to me, but I really did enjoy reading it. I've been paring back on my physical collection of RPG "stuff", preferring the digital, but I have just the spot for this Zine. $5 shipped is a good price-point for The Stronghold and I'll be looking forward to more issues in the future. If they keep this up I might need to add another category to my +12 Links of Helpfulness just for Zines.